Just regular folks. 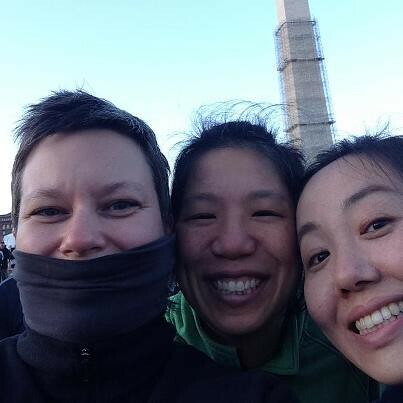 : Cherry Blossom 10 Miler. I ran ten miles yesterday! At the Cherry Blossom 10 miler - downtown. It was a little early for the blooms, but it was a beautiful day and perfect for running. For those who care, Christine and I ran negative splits :)!!! Back in the groove - almost.